Buyers and sellers alike have been wishing for a long time that Etsy would allow names to be changed. Well, the time is almost here. Etsy announced this week that on October 18th, shop owners will be allowed to change their shop names. 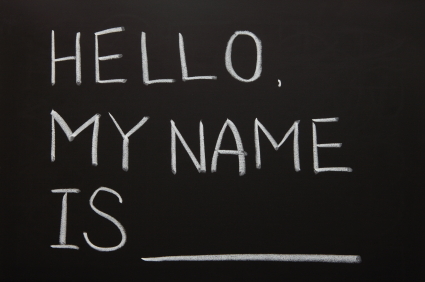 Many sellers are nervous about the process or its implications, so here are some answers to set your mind at ease about the name change. When you change your shop name, the shop will have a new URL (web address). Links to your previous shop URLs will continue to work and redirect to your new shop URLs. Example: www.username.etsy.com and www.newshopname.etsy.com will both go to www.etsy.com/shop/newshopname. Etsy uses what are called 301 redirects to help maintain your search engine rankings after the change, so no need to worry about damaging your SEO. Some Etsy sellers want their name to take center stage, others wish to remain anonymous and have their shop name be the prominent feature. Either way, now you can choose. If you want everyone to know that you, John Doe, run Wood Trinkets, then by all means go ahead and post your full name. However, if you wish to not use your full name, or use your name at all, that option is available too. You can even get creative and use initials, or some other name all together. If you’ve decided to ditch your old shop name, or still need time to decide, don’t fret. No one can take your existing shop name from you, now or ever – even if you close your shop. On the flip side, if you already have a new shop name in mind – it might not hurt to line up on the 18th and claim it before someone else does. If all lowercase letters have caused some confusion for you and your shop, you’ll be thrilled to know that you can now use capitalization in your shop title! The best part is that changing the case in your shop name will not count towards your one shop change (see below). You heard me, you only get to change your shop name one time so take some time and really give it some thought. Etsy is limiting the number of shop name changes due to concerns that frequent shop name changes could confuse shoppers or be used by people trying to take names out of the pool of available names. It is possible to change it again, but your name change will need to be approved by Etsy themselves. As usual you get right to the facts. Thanks! So excited about this glad I found you and read about this. I am like so many that signed up as a buyer long before I became a seller. This is huge.